San Diego-based WAXIE Sanitary Supply, along with the City of San Diego and its partners, stepped up to nip this year’s flu season in the bud. Along with Akron, Ohio-based GOJO Industries, the makers of Purell Hand Sanitizer, WAXIE Sanitary Supply and the City of San Diego announced the placement of hand sanitizer stations at 57 of the city’s recreation centers and 36 public libraries on Oct. 10, 2018. 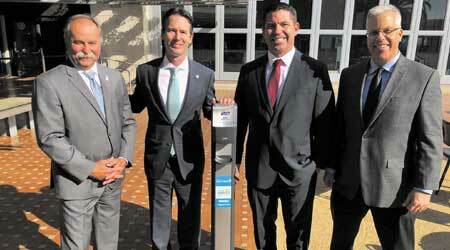 Rick Hazard, vice president of marketing for WAXIE Sanitary Supply and Keith Schneringer, director of channel marketing and sustainability for WAXIE, joined City of San Diego Councilmember Mark Kersey, Mayor Kevin L. Faulconer and other city representatives to celebrate the accomplishment. The move follows last season’s historically deadly flu season during which 342 people died due to flu-related complications, the highest death total since 1988, when the County of San Diego started tracking flu deaths. In addition to the hand sanitizing stations already placed, the San Diego Chapter of the California Restaurant Association donated 200 hand sanitizers to be placed at local restaurants. Their goal is to cover 1,000 locations this flu season. Hand washing is the best way to reduce the number of germs on hands and prevent the spread of infection, according to the U.S. Centers for Disease Control and Prevention. 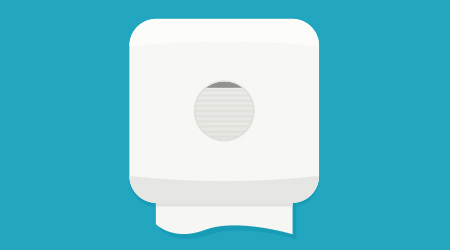 When soap and water are not available, alcohol-based hand sanitizers — like Purell — can quickly reduce the number of germs on hands. WAXIE Sanitary Supply is proud to have helped spearhead efforts to stop the spread of the flu in San Diego for this season and the years to come.